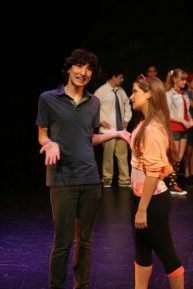 The brand new 70-minute Like You Like It: Cool4School Edition (for ages 13 – 17) makes its debut at the Children’s Musical Theatre Festival, produced by Broadway Workshop. 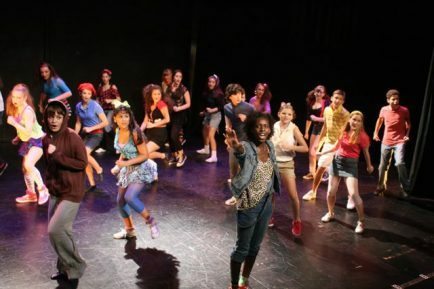 Jackie (Miriam Sintim) and the cast of the 2011 Broadway Workshop Children’s Musical Theatre Festival Production. Photo by Holli Matze. Toucthone (Billy Recce) and Celia (Amelia Scaramucci). Photo by Holli Matze. Rosalind (Brenna Donahue). Photo by Holli Matze. Orlando (Nicholas Rivera). Photo by Holli Matze. The Freshman (Zachary Pearson). Photo by Holli Matze. 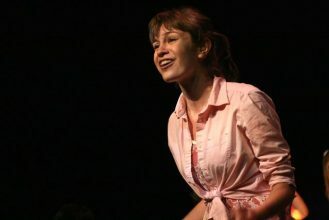 Audrey (Brianna Gentilella) and the cast of the 2011 Broadway Workshop Children’s Musical Theatre Festival Production. Photo by Holli Matze. 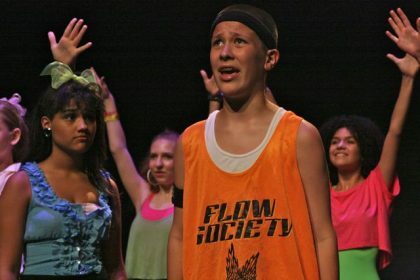 The cast of the 2011 Broadway Workshop Children’s Musical Theatre Festival Production. Photo by Holli Matze. 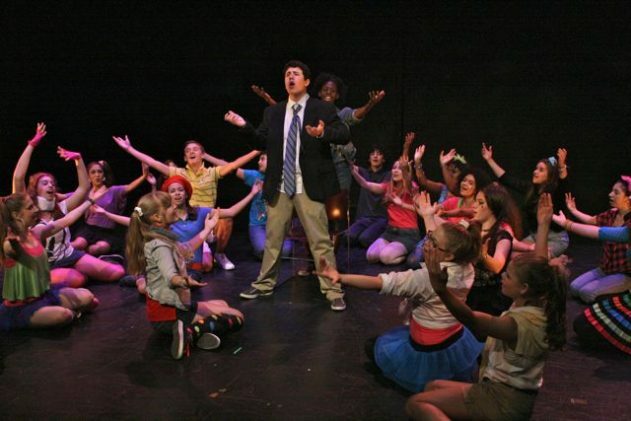 Oliver (Nicholas Manna) and the cast of the 2011 Broadway Workshop Children’s Musical Theatre Festival Production. Photo by Holli Matze.